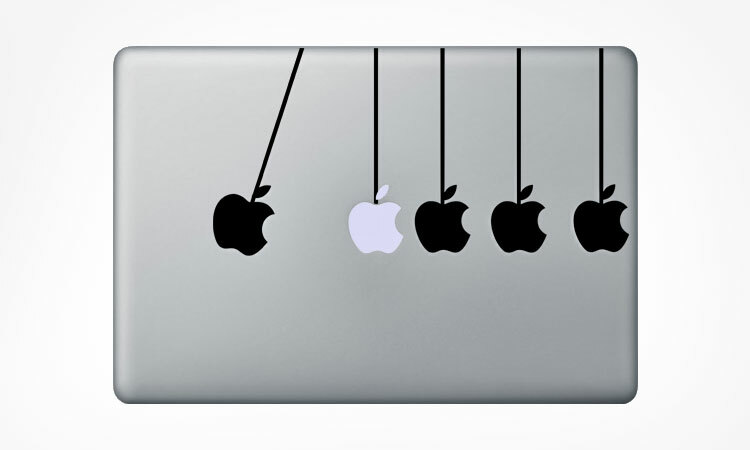 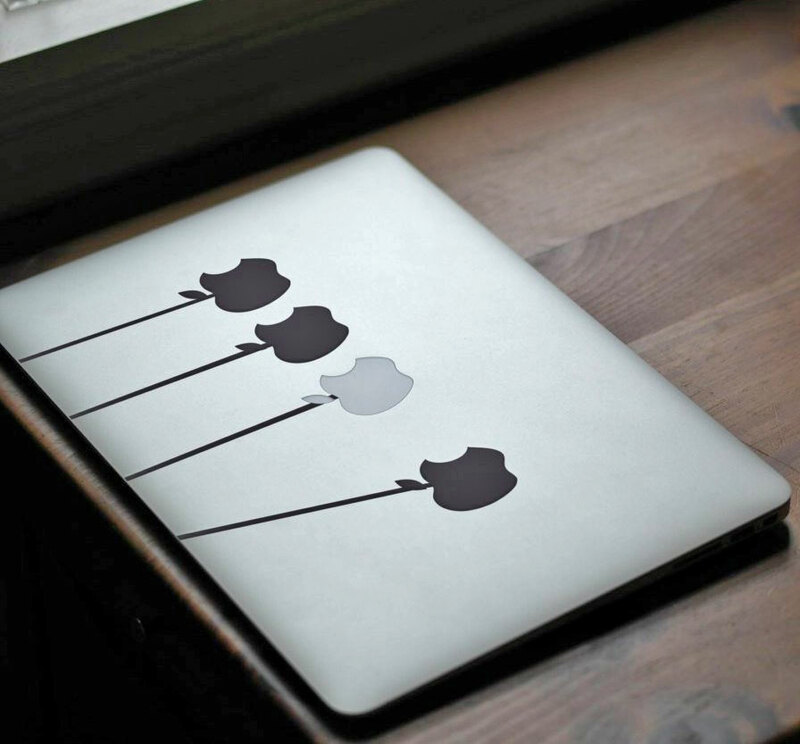 The Newton's Cradle MacBook sticker turns the lit up Apple logo on the back of your MacBook into one of the balls used in a Newton's Cradle device. 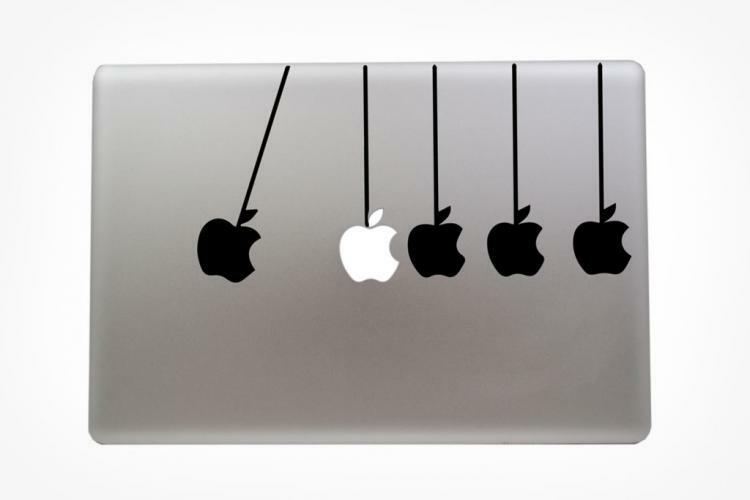 The decal adds three apple logos to the right of the central Apple logo on the back of the computer, and one swinging apple logo to the left. 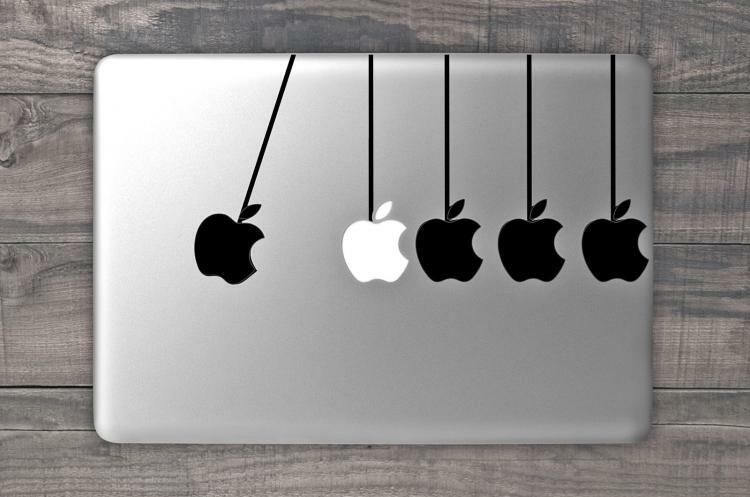 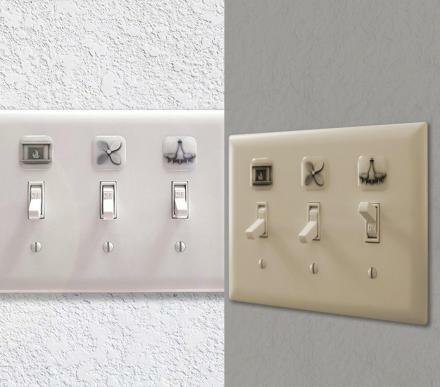 There are certainly no shortage of unique MacBook sticker decals available in this world, with others including Iron Man that replaces his hand thrusters with the Apple Logo, a decal that turns the logo into Heisenberg from Breaking Bad, a decal that makes it look like Ariel from the Little Mermaid is holding an apple, or this one that turns the lit up Apple logo into light bulb from the Pixar lamp Logo. Perfect for a physics nerd, or any sort of scientist that follows the rules of physics (which should be all of them), the Newton's Cradle MacBook sticker is printed from a high-resolution photo that makes for a very sharp result, comes with pre-applied transfer tape to easily attach it to your laptop, will leave no residue when or if you decide to remove it, and will work for MacBook sizes of 11 inches, 13 inches, 15 inches, 17 inches, and the MacBook Air.